Bringing style and comfort to the uniform industry, WonderWink workwear is changing the game when it comes to functional work scrubs. You don’t have to lose your style even though you wear scrubs to work. (Yes, this even includes those who can only wear one color ... (see full details) (see specifications) #6016-WHT. 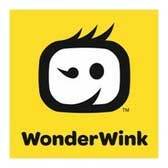 For all you need and a little of what you want, too, WonderWink has a design for you. The Bravo is a ladies’ fit V-neck scrub top that's cute AND functional. Offering your neck with plenty room to breathe, the stylish women's v-neck is still shallow enough to keep you covered as you do your job. Let’s face it: in the healthcare industry you never know what kind of tasks your day has in store for you. This cotton and polyester blend is soft and stretchy so you can bend, kneel, lean, lift, push, pull, reach, react, and do whatever else you need to do without any tight, binding seams. The 65% polyester and 35% cotton blend makes caring for this white scrub top quick and easy as well. What more could you want? How about pockets? Lots of them. The designers at WonderWink know what you need on the job and have their own approach to pockets. Two large lower front reach-in pockets offer space to drop whatever smaller items you need inside and get on with your day. The right side pocket also includes the WonderWink signature triple-pocket with hidden mesh for a grand total of five pockets. The inner hidden mesh pocket holds important items more securely that the open top pockets, and the sectioned outer two pockets offer a more fitted space for delicate items. The signature I.D. bungee loop is located on this pocket. The left side pocket has a three section hidden accessory loop to hold items in place and upright as needed. The feminine side seams are design to complement a female figure, and the open vents at the bottom hem offer more room in the hips. The length on this women’s v-neck scrub top is 27-3/4 inches (in a size Medium). The crisp, clean white of this cotton/poly top combine with the easy care fabric will look great paired with a number of different scrub bottoms, be sure to check out the rest of WonderWink's options before you leave! This WonderWink Women’s 6016 WHT White Bravo V-Neck Cotton/Poly Scrub Top from Working Person's Store is your perfect choice for a comfortable, fitted scrub top from an award-winning company that's changing the way you feel about women's work scrubs! WonderWink Scrubs: Women's 6016 WHT White Bravo V-Neck Cotton/Poly Scrub Top is being added to your cart.